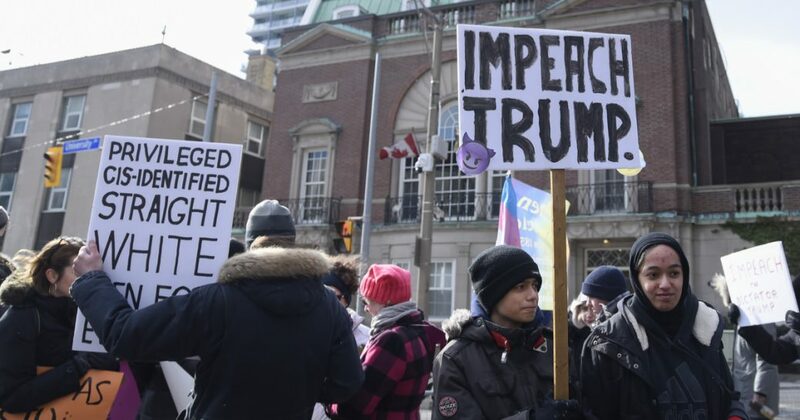 Impeachment Impending for President Trump? Clinton insider Larry Nichols has taken a bold step to explain to We The People how to stop the impeachment of President Trump! All true We The People need to check in daily for his vital updates at www.LarryNichols.us and heed the call to action! SEDITION AT THE HIGHEST LEVELS OF AMERICAN GOVERNMENT! Yes, this could be the greatest Sedition case in American history! Sedition by Congress and Senate! An illegal action inciting resistance to lawful authority and tending to cause the disruption or overthrow of the government is Sedition. WE THE PEOPLE need to be the anti-Sedition SWAT team and let reps know if they attempt presidential impeachment, THEY will be impeached! Truly! President Trump needs to get on this immediately! Larry Nichols, God bless him, however, doesn’t understand or acknowledge one key factor. The professional thuggery funded daily by Deep State – also known as the invisible government and shadow government – keeps Congress and Senate in line. As Dr. Stan Monteith revealed, the occasional finger of a Congressman or Senator is cut off or broken – never makes MSM – as a quiet warning to others to keep in line. Targeted elected officials are being manipulated by fear into the gravest of Seditions – and it is Sedition because of false premises, charges and allegations, making it “an illegal action inciting resistance to lawful authority.” This could turn out to be a real “Mr. Smith Goes to Washington” drama if even one Congressman will surprise them and stand up to this! With the 2018 re-election of complicit politicians in sight, the Bilderberg thugs will pressure them one way, but We The People will pressure another. Who will be the winning chef in this competition? Deep State Bilderbergs versus We The People now stir up their recipes, into the pressure cooker of Washington DC.